Kathleen Jones has a passion for music and is excited to share it with her students! She holds a Music Education Degree (BME) from the University of Oklahoma and earned the award “Outstanding Band Senior” while she was there. Her teachers include (current to past): Larry Mentzer - San Antonio Symphony, David Etheridge - University of Oklahoma and Oklahoma Philharmonic, and Arthur Johnson - Oklahoma City Symphony. Kathleen has played with various groups all over South Texas such as: Blasmusik Texas, Corpus Christi Symphony Orchestra, George Winters Chamber Orchestra, Hermann Sons German Band, King William Winds, San Antonio Municipal Band, San Antonio Wind Symphony and the Victoria Symphony Orchestra. Currently, she is playing with Alamo City Opera, Ballet San Antonio, Kunstler Klarinetten, Mid-Texas Symphony, and sub/extra with San Antonio Symphony. In addition, her expertise on clarinets of all sizes makes her a sought after free-lancer. 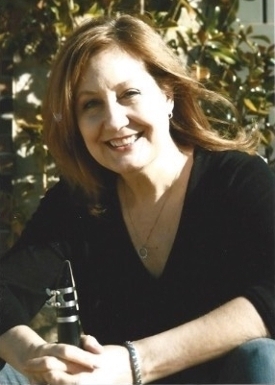 Besides her studio at UIW, she maintains a busy private lesson studio – Mrs. Jones Clarinet Studio. Kathleen believes that students learn best in a warm and nurturing environment with a strong emphasis on fundamentals. She has a deep desire to share her love of music and the clarinet with students of all ages.